Postcard Notes: The James Eights’ View looking east down State Street. The Old Dutch Church, removed in 1806, appears at the foot of the street. St. Peter’s, the English church, stood at the top, near the cart. 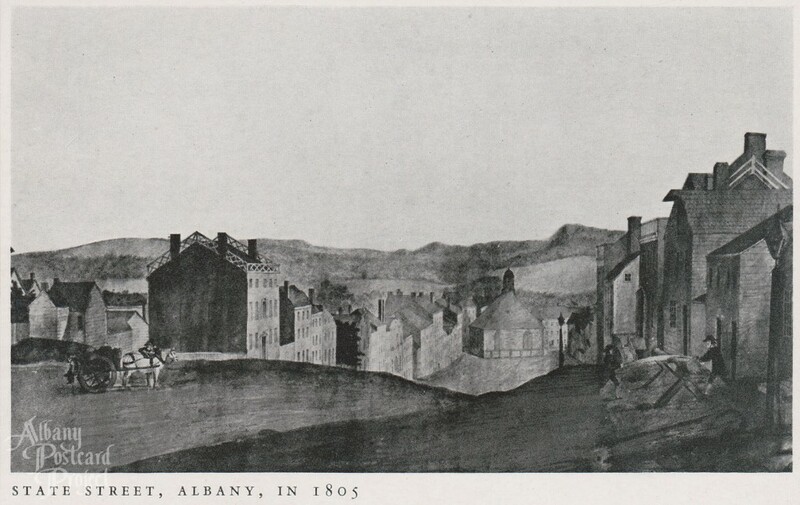 The large house at the left is that of Philip S. Van Rensselaer, twice mayor of Albany. Below it is Elm Tree Corner where, in the former Livingston house, was the shop of C.R. and George Webster, printers and publishers.